Wordy Wednesday – Who Wants Breakfast? Maya Does! It doesn’t matter how sound asleep my Labrador Maya is. If I say the word breakfast, food, cookie, or oops (to mean I dropped something on accident), she is suddenly alert and comes running! What is your dog’s favorite word? 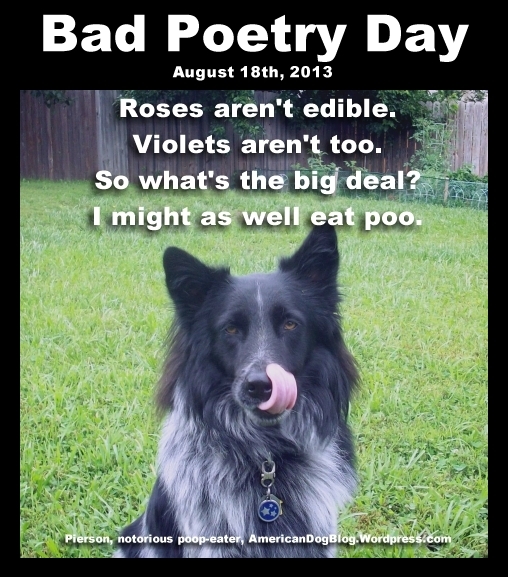 For more Wordless or Wordy Wednesday fun, check out the pet blog hop below. Pierson likes poop so I need to manage his behavior. 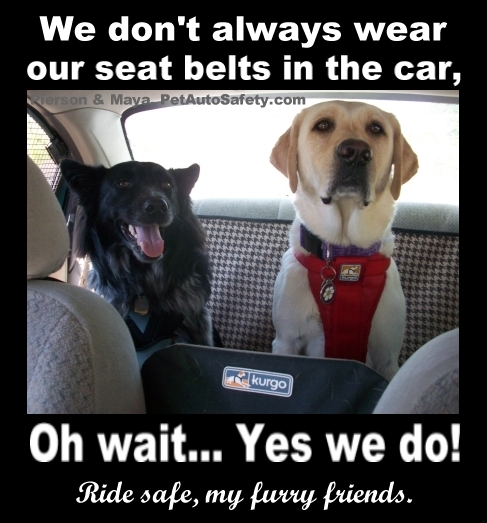 Dogs will be dogs, but some of the things they want to do are annoying, unpleasant, or possibly not safe. If someone is not familiar with dog training, their first instinct might be to try to correct the issue with punishment. Those who are familiar with better ways to stop an undesirable behavior will try behavioral modification techniques such as redirection and positive reinforcement. But sometimes, we don’t have to go through all this work. Sometimes we can eliminate an undesirable behavior by managing it. Let me give you an example. My dog Pierson loves to eat my other dog Maya’s poop. I’ve considered training him not to eat it. But let’s be honest, even if I did teach him not to eat it, he will probably still try whenever I’m not looking. I’ve also considered giving Maya something like NaturVet Coprophagia Stool Eating Deterrent to make her poop taste bad. But I’d have to buy this stuff all the time or risk Pierson realizing the poop wasn’t tainted and eating it. So what did I do instead? I simply decided to always pick up Maya’s poop right after she poops. Yes, it is a bit inconvenient, especially in colder weather. But it’s more sanitary and it has completely stopped Pierson from eating her poop. No training, no expensive supplements. Pierson barks at surprising noises and he barks at squirrels, rabbits, and birds. I decided that barking at noises isn’t such a bad thing. I want to know if someone is creeping around my house. Even though most of the noises Pierson barks at are nothing to be concerned about, I can live with that. 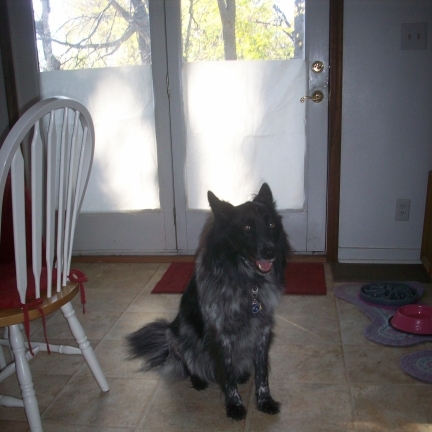 But the barking at squirrels, rabbits, and birds when he can see them out the back door window was too much. Like how I eliminated Pierson’s desire for eating Maya’s poop by picking up her poop, I managed Pierson’s barking at animals he sees through the window by blocking the view from the window. It worked like magic! By simply putting a large piece of paper over the bottom half of the door window, I eliminated Pierson’s barking by at least 70%. 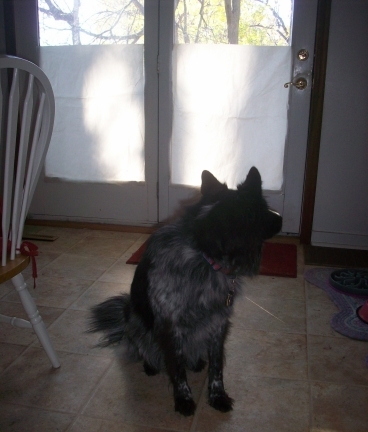 See how I blocked the door window so that Pierson can’t bark at squirrels? If your dog tends to get in the trash, eliminate the behavior by getting a trash can with a secure lid or by putting the trash can in the pantry. If you don’t have a pantry, use a smaller trash can and put it under the kitchen sink. You may have to throw out trash more often, but isn’t that better than picking up trash from the floor and worrying about whether your dog ate something harmful? Eliminate digging behaviors by filling his favorite digging spots with rocks or even his own poop. Keep your dog out of your garden by putting decorative fencing around your garden. 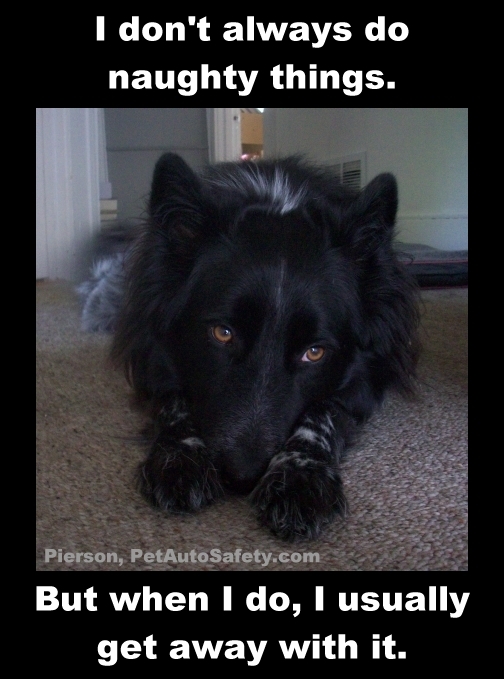 Keep your dog from trying to bolt out the door by putting his leash on him before you open the door. 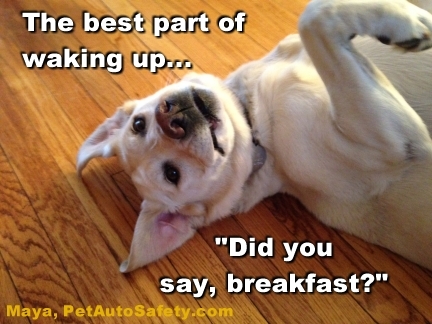 Stop counter surfing by making sure food is always put away and/or out of reach. Keep your dog off the furniture by laying a sheet of foil over it when you’re not around. Managing your dog’s undesirable behaviors isn’t always feasible and doesn’t always work. But if you think outside the box, you might just come up with a simpler way to stop your dog from doing things you don’t like. 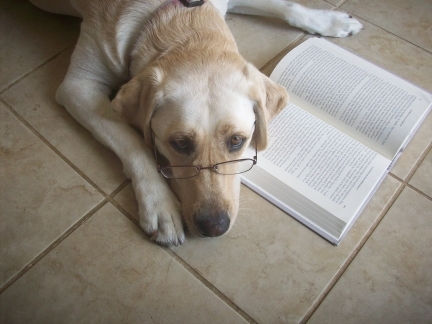 You can save time and even money by not having to hire a dog trainer. Does your dog have an annoying behavior that you’d like to stop? 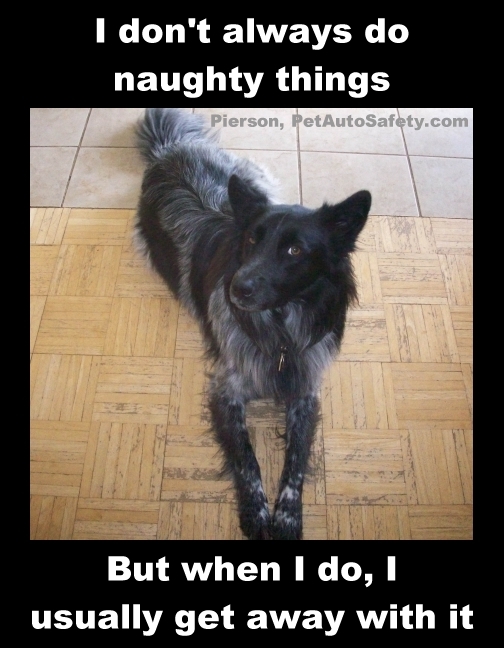 Comment below and let’s see if we can come up with some creative ways to manage your dog’s behavior. Which of these two photo captions of Pierson work best? Happy Wordless… I mean Wordy Wednesday!